Tradition and commitment are probably not the first things on your mind when you're looking for a new work shirt, but this Wrangler Riggs Men's Forest Green 3W760 FG Short Sleeve Henley Shirt is built on over a century of Wrangler tradition to providing working pe ... (see full details) (see specifications) #WRG3W760FG. Tradition and commitment are probably not the first things on your mind when you're looking for a new work shirt, but this Wrangler Riggs Men's Forest Green 3W760 FG Short Sleeve Henley Shirt is built on over a century of Wrangler tradition to providing working people with workwear that performs. Part of the Riggs Workwear collection means this design is constructed for comfort and durability working people look for on the job. It's made of 7-ounce100% ringspun cotton. Cotton naturally delivers breathability and comfort, and ringspun cotton adds softness and durability. It's a men's top that's made to last and to feel good against your skin. Triple-needle stitching, along with taped vented side seams add breathable comfort and longlasting wear. The fit is relaxed and comfortable, giving you plenty of room to move. The taped neck seam adds comfort, and with a tagless label, there's no scratchy tag irritating the back of your neck. With a classic 2-button henley placket, this men's pullover top is ideal for wearing alone or layered. Toss it on all by itself and you're ready to go. When the conditions warrant layers, this shirt is ideal. A left chest pocket and utility loop add convenience. Comfort and durability don't mean you have to give up good looks. This stylish shirt is offered in rich forest green and will work with just about anything in your workwear line up. And for a change of pace, we have plenty of other colors. 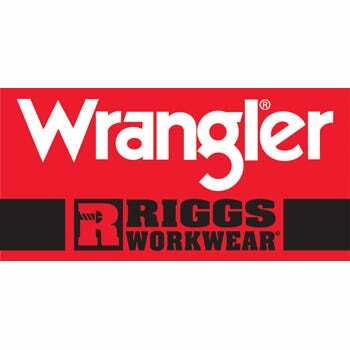 Look to leading Riggs Workwear for durable workwear that feels and looks as good as it wears. Put this Wrangler Riggs Men's Forest Green 3W760 FG Short Sleeve Henley Shirt in your lineup today and you'll be ready to go. Yours is waiting at Working Person's Store. Order now! 141 out of 141 people found this product review helpful. I've had one of these Wrangler Forest Green Henley Shirts for several years and I have nothing Negative to say about it. Like any of the Wrangler brand clothing products I've owned over the years, it's been a great. It's been through many washings and has held up good. Very heavyweight material that is durable and seems to last forever. I just recently ordered a 2nd one, and I would recommend to others! 120 out of 120 people found this product review helpful. Great quality and true to size. My husband loves the styling and look of this shirt. This will be one of his favorites. We will buy Riggs brand again. 114 out of 114 people found this product review helpful. For those who want fashion and fit that looks as good as any Polo shirt...this is your shirt. Not only does it wash and dry but it fit exactly as men like it to fit. It is just a bit bigger than ordered so if you wear a Large then you are going to love this as it fits with just a bit more room that we all need. My husband has worn these Wrangler T-shirts for years. He has both the long and short sleeve styles. They are excellent quality and workmanship, wash and dry perfectly and wear for years. We highly recommend these shirts to anyone who needs a work shirt, not just an undershirt. Thank you very much for your notification that you have received my return and status of my new order. Because of your commitment to customer satisfaction and prompt follow up on customer concerns, I recommend your store to my associates with utmost confidence. Wrangler Riggs Shirts: Men's Forest Green 3W760 FG Short Sleeve Henley Shirt is being added to your cart.